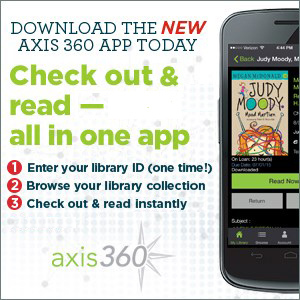 Axis 360 is a digital resource that brings you even more eBook titles with your valid Atlantic County Library System ID and PIN. Browse, check out, download and read eBooks from Atlantic County Library System's Axis 360 "Magic Wall" on your PC's browser or by using the Axis 360 app on compatible tablets and mobile devices. Learn to read online or off through your browser without having to install another application. Print instructions for the READ NOW feature for your desktops, laptops, chromebooks, tablets or other devices. 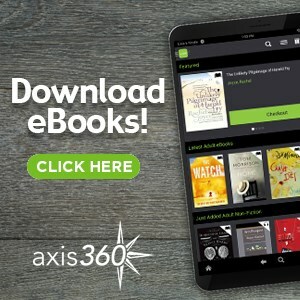 The Axis 360 App is not available for 1st and 2nd Generations Kindle Fire devices, Kindle Paperwhite, other Kindle non-tablet eReaders, Nook eReader or Sony eReader. 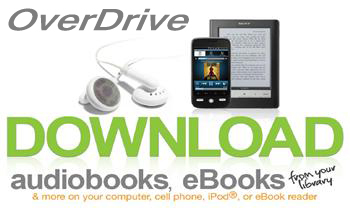 Users of these devices can download eBooks and audiobooks from our OverDrive service. Click here to see if your Kindle Tablet is compatible with Axis 360. EPUB formats of most titles can be downloaded to Adobe Digital Editions on a PC and transferred via USB to certain devices (not including Kindle and Nook ereaders). For ADE printable instructions click here. eAudiobooks are NOT available for our Axis 360 eCollection. However, some titles do have a "text-to-speech" option which can be used after downloading the Axis 360 Desktop Reader. "Text-to-speech" enabled books are indicated under the Details tab on the eBook's information page. Look for the "text-to-speech" feature to becoming to the Axis 360 app soon. Library card holders are allowed to check out up to 8 Axis 360 eBooks at a time. Checkout period is up to 14 days. Checkout even more titles from ACLS' OverDrive eBook & Audiobook service.